BSkyB is to launch a new sports channel dedicated to European football in August. 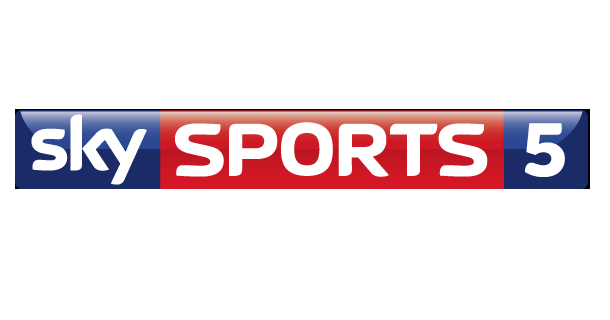 Sky Sports 5 will be offered for free to existing Sky TV customers with Sky Sports and is to launch from 12th August 2014. Last week, a516digital reported that test transmissions for Sky Sports 5 had been spotted on satellite, with test data showing it would be the new home of European football. Yesterday, an advert for the new channel showing the 12th August 2014 launch was leaked on internet forums. This morning, Sky Sports has confirmed the launch in an article on their website. Sky Sports 5 will become the new home of Dutch Eredivisie football following the completion of a new four year deal. Sky TV viewers can activate the channel from Thursday 12th June and register for two years' free unlimited broadband. Barney Francis, Managing Director of Sky Sports said: "Sky Sports 5 takes our unrivalled live football coverage to the next level offering more European football than ever before. There’s never been a better time to be a Sky Sports customer and with two years’ free totally unlimited broadband, we offer the ultimate package for sports fans." The channel will also be available on Sky's internet platforms including Now TV. It's been subsequently confirmed that the channel will also be carried on Virgin Media and TalkTalk. The home of the 2014/15 Champions League and other European football, including Dutch Eredivisie and La Liga. Available to existing Sky Sports customers at no extra cost. Those with Sky TV with Sky Sports can register for two years’ free broadband (or half price fibre broadband). On Sky channel 407 – it doesn’t launch properly until August.